For a self-proclaimed politics geek, a Budget announcement is a key event in the calendar that usually sparks an interest. This year, however, if there was one thing I learnt from my Monday afternoon spent hovering over the BBC Live Stream it was this: never watch the Budget again. This might seem like a misplaced statement from a PR professional, but if the 2018 Budget was anything to go by, it is exactly the advice I would give. Why you ask? Well, when it came to the housing announcements that I spent my time looking out for, it seemed that the devil was actually in the detail. You may have noticed throughout his speech that the Chancellor kept referring to ‘the red book’. The full Budget report contained in the red book not only included the housing announcements presented on Monday afternoon – described in the press as ‘boring’, ‘a damp squib’ and ‘a wet weekend’ – it was also full of key points that, whilst perhaps not ambitious enough to solve the housing crisis we face, are certainly worth a look at. In a nod to the millennial generation, the first housing announcement from the Budget was around changes to Stamp Duty. The good news for those who have rationed enough avocados to save up for a deposit was that last year’s announcement abolishing Stamp Duty for first-time buyers on homes worth up to £300,000 will now be extended to shared ownership properties. On housebuilding, this year’s major promise was an extra £500m for the Housing Infrastructure Fund (HIF) to unlock 650,000 homes. 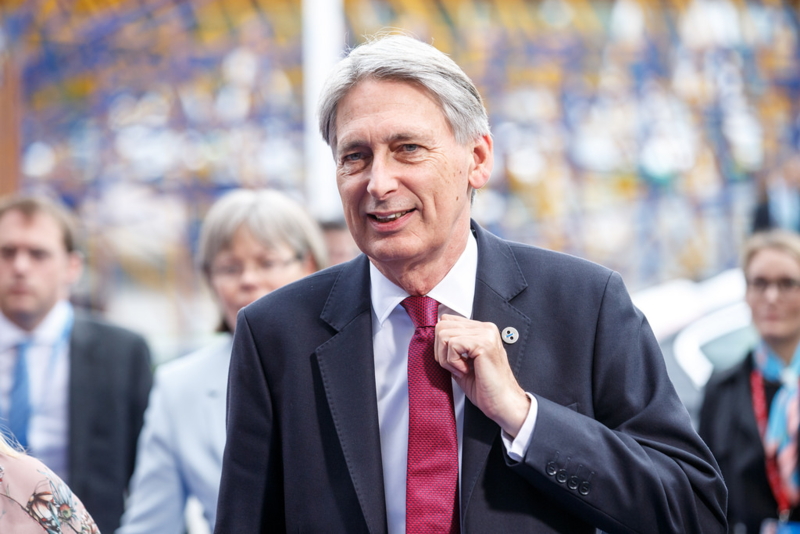 The Government has also struck deals with nine housing associations to deliver 13,000 homes and it was confirmed by the Chancellor that the cap on councils, limiting their ability to borrow money to build council houses, will be scrapped. The latter has already been received with a degree of cynicism, however, with The Office for Budget Responsibility (OBR) predicting that it will create no more than 9,000 homes by 2024. Other announcements included a new scheme supporting up to £1bn of lending to SME housebuilders and £8.5 million of resource support so that up to 500 parishes can allocate or permission land for homes sold at a discount. And, finally, in what was perhaps an attempt to kill (or in this case revive) two birds with one stone, Mr. Hammond announced that he was creating a £675m fund to help transform town centres, of which part could be spent on turning unused High Street shops into housing. This could potentially create up to 300,000 new homes, according to the Federation of Master Builders, but some have raised concerns that they could be sub-standard. In a Budget speech that was pretty underwhelming on the face of it, it seemed strange that most of the more interesting housing announcements were only detailed in the red book. For example, in another piece of good news for “generation rent”, Help to Buy is being extended for 2 years. This will not only buy time for first-time buyers but, given that the scheme has underpinned up to 40% sales of many major housebuilders, it also gives developers time to look elsewhere for opportunities. One form that these opportunities could arrive in, is a new call for proposals from private investors and delivery organisations to provide new routes into shared ownership and affordable homeownership; the consultation detailed in the small print runs until February 2019. The Government also confirmed that it will introduce a ‘simpler system of developer contributions’, most notably, removing all restrictions on S106 pooling towards a single piece of infrastructure. It will also see a Strategic Infrastructure Tariff introduced for Combined Authorities and joint planning committees with strategic planning powers. Finally, and perhaps most importantly, the full report also announced the publication of Sir Oliver Letwin’s review of the gap between housing completions and amount of land allocated or permissioned. According to the red book, the review found no evidence of speculative land banking by developers, but it does recommend legislative and policy change to increase the diversity of large sites to speed build out. It remains to be seen which of Letwin’s policies the Government will introduce and, indeed, whether they will have the desired effect. What is certain though is that those in planning and development should take note of the details in the small print of what, on the face of it, appeared to be a dull as dishwater speech for housing. Even if the details in question are, well, rather murky.